Black Widow marijuana is closely related to the highly awarded White Widow strain, but produces darker colored buds with potentially higher THC levels. 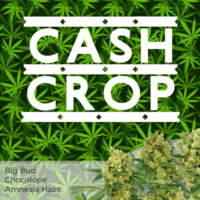 Created by Shantibaba, founder and leader of the Mr Nice seed bank, it combines the genes of a Brazilian Sativa, with those from a potent South Indian hybrid. 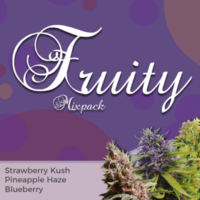 Each feminized seed is carefully selected and packaged to ensure maximum freshness, and guaranteed to germinate by following a few simple instructions. Two pheno-types have been identified, both capable of producing between 12 – 16 ounces of the highest quality buds per square meter when grown indoors. One is more Sativa dominant, creating a tall, slightly slower flowering plant. The other contains higher quantities of Indica genes, remains shorter, squat and dense, with a quicker flowering period. 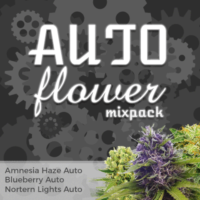 Depending upon conditions, Black Widow feminized marijuana seeds will require between 8 – 10 weeks in flower to completely develop ready to harvest. Outdoor growers, living in a Mediterranean or Southerly climates, such expect to grow plants reaching approximately 6 feet tall, ready to harvest around the middle of October. Often prescribed as a night-time variety, it can help relax the user and ease insomnia. Whether you’re a seasoned veteran, or s new grower, Black Widow marijuana seeds are a perfect choice, guaranteeing a high quality harvest from easy to grow plants. 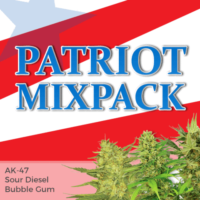 Available now in packs of 5, 10 and 20 feminized seeds, all sold with free and guaranteed delivery to all parts of the USA, Canada and Europe, with each seed guaranteed to germinate. A potent and easy growing ‘White Widow’ variety with darker buds and up to 25% THC content. Black Widow marijuana has a complex, sweet-skunky aroma with a fruity-pine flavor that’s strong, smooth and enjoyable. Black Widow is a popular choice for indoor growers, providing good quality harvests of highly potent buds without too much care or attention. Low CBD levels and a THC content between 15% – 25% produce a fast and hard-hitting stoned sensation, that’s very relaxing, capable of causing ‘couch-lock’ in light smokers.